Though I’m based in the United States, I’m spending the next few weeks with the Plecto team at our headquarters in Aarhus, Denmark (officially spelled Århus). The food portions and cars are comparably smaller, but that was something I expected. What I didn’t expect were the super cool gadgets the guys here use around the office. Tired of dealing with dongles or tracking down the ones that are meant to stay in every meeting room? Airtameis your solution to dongle hysteria. Airtame is a wireless, HDMI device that plugs into TV screens and allows users to easily connect and display their computer: Plug an Airtame device into a screen, select the device name within the Airtame app and you’re good to go. With Airtame, all your team will need to screen-share during a meeting is a WiFi connection. That way, you’re not wasting time passing cables from presenter to presenter, or awkwardly waiting for the new guy to figure out how to duplicate his screen. No wires, no hassle, and no need to involve your IT department. We’re very anti-cables here at Plecto, and that’s why we’re big fans of Sonos. 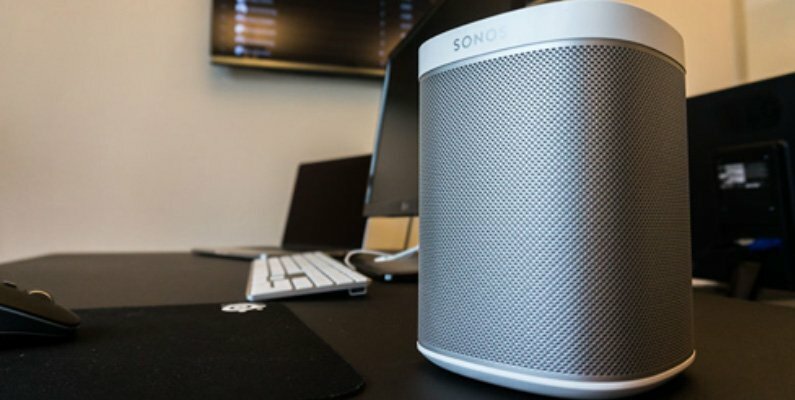 Sonos is a smart speaker system that allows users to wirelessly play sound from their phones or tablets. Today’s LED light bulbs can do a lot more than simply brighten a room. You’ve probably come across a Philips Hue bulb or two, for example, that can change colors. What you may not know is all of the cool things you can do with a Philips Hue. They can be set to detect your phone’s location and turn off whenever you leave the office. They can be used as a silent alarm clock. You can control them from any of your devices. And, if you’re a Plecto user, they can be configured to trigger after a recent team “win”—a big sale, closed deal, positive customer review and the like. If you’ve not heard of Nest, you may know them as “that company” acquired by Google for $3.2 billion a few years ago. As with any thermostat, Nest allows users to control the temperature of their office. Unlike other thermostats, Nest helps users save on energy costs by automatically optimizing itself. After a few days, Nest will “catch on” and create a personalized schedule. For example, it will turn itself down when your smartphone leaves the office in your pocket. The latest model, the Nest Learning Thermostat, “learns” what temperatures you like when. That way, you’re not paying for the kWh of energy making you feel too cold or too warm. Admittedly, we’re not using this one at Plecto. It’s just too cool an idea not to mention. The We-Mo enabled coffeemaker lets users remotely control the coffee brewing process from their smartphones. That way, they don’t have to get up, walk to the kitchen, start the coffee maker and chat about YouTube videos while they wait for their cup of Joe. Instead, they can press “Brew” on their phone from their desk, finish typing a quick email and then go grab their coffee. Plecto is a team motivation software. 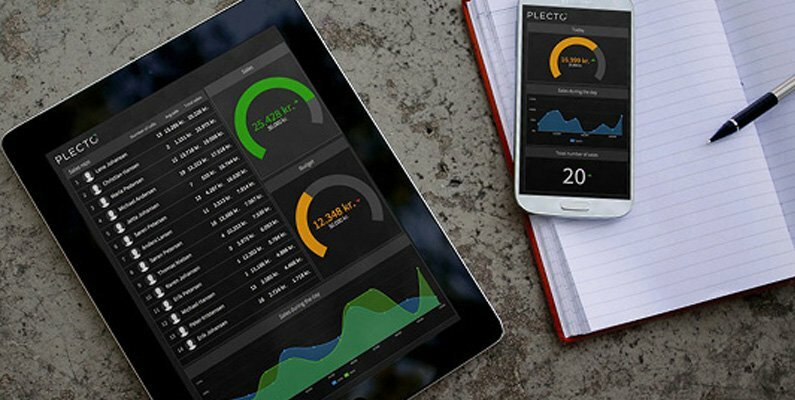 With Plecto, users can customize dashboards that stream performance data straight from their existing systems (CRM, for example) across any mobile device, computer or TV screen. Users can then visualize metrics using a number of different widgets, trigger notifications after predetermined “wins” and reward top performers with achievements. For example, a sales team might use the leaderboard widget to rank reps by their sales in real time. The best part? You can display Plecto on a TV using Airtame, and have Sonos play a sound and the Philips Hue lights flash after a recent “win.” As far as the coffeemaker goes, you’re on your own. Click here to explore all of Plecto’s neat features.